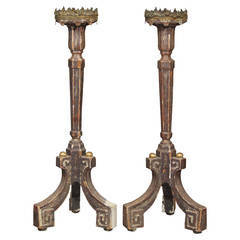 Sorry, Aaron Silverstein Prime Candle Stand is not currently available. This black candle stand is from France and made from pinewood, mid-19th century. 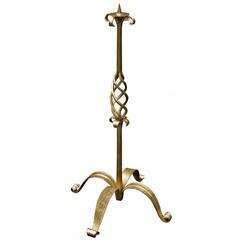 An Art Deco floor standing wrought iron candleholder. 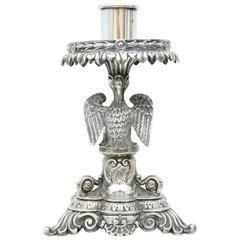 A 19th century English, Sheffield silver plated candle stand decorated with an eagle above a shell and acanthus leaf base. An antique candle from France. Piled-up painting.